‘Eco Home’ is a stylish and sustainable home decor range by Clean Planet. Crafted from natural fibers and hand woven with love, here is a range of placemats which are multi-functional home décor pieces that add a touch of traditional craft to your home. 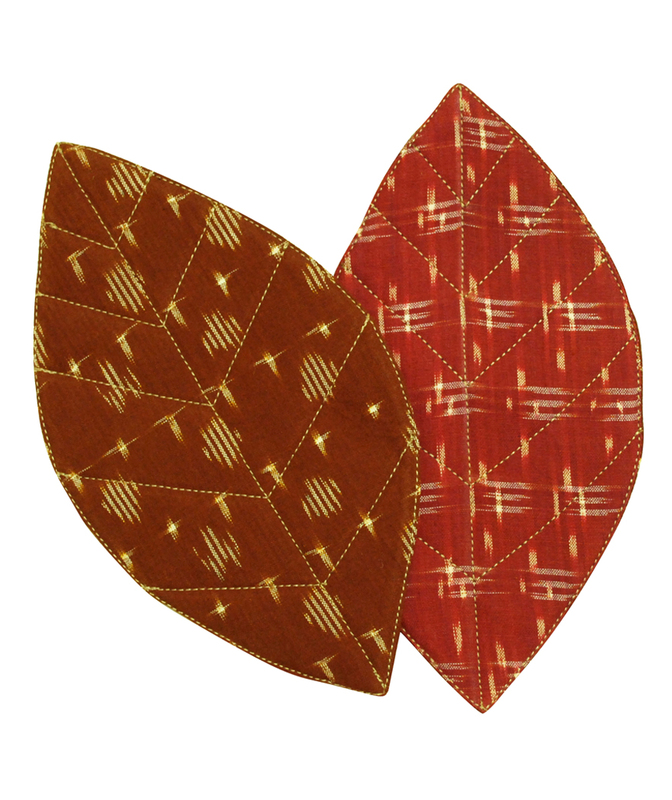 The Ikat Leaves are a set of two-sided placemats in rustic brown and maroon made from hand-crafted Ikat. Use them as coasters or placemats on your dinner table or to creatively adorn your living space. Size: 12.5” x 7” inches Material: 100% cotton Ikat fabric Care: Hand wash recommended. Light iron. Colours: Maroon and Rust brown. At Clean Planet, we are constantly innovating to reach a goal of zero-waste consumption. The accessory range-Indiegenius, is a result of these efforts. Recycling and upcycling fabrics as compared to the use of virgin fabrics, saves on resources and energy which benefits the environment to a great extent. Watch as rich and vibrant fabrics are re-born as contemporary products of impeccable quality.